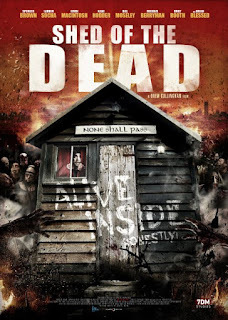 7DM Studios, in association with Oceanstorm Films and Williams Bulldog Management, are excited to announce that their riotous new zombie comedy, Shed of the Dead, will be having its World Premiere at this year's SCI-FI-LONDON Film Festival on 18th May at Stratford Picturehouse, and will be available on Digital Download release from 20th May. The film features a host of British talent including Spencer Brown, Lauren Socha (Misfits), Emily Booth (Doghouse), and Ewen MacIntosh (The Bromley Boys, The Office). In addition, British actor Brian Blessed will be lending his unmistakable booming vocals as the film's narrator. The film also features US horror icons Kane Hodder (Friday 13th, Hatchet), Bill Moseley (The Devil's Rejects, Halloween), and Michael Berryman (The Hills Have Eyes, One Flew Over The Cuckoos Nest). 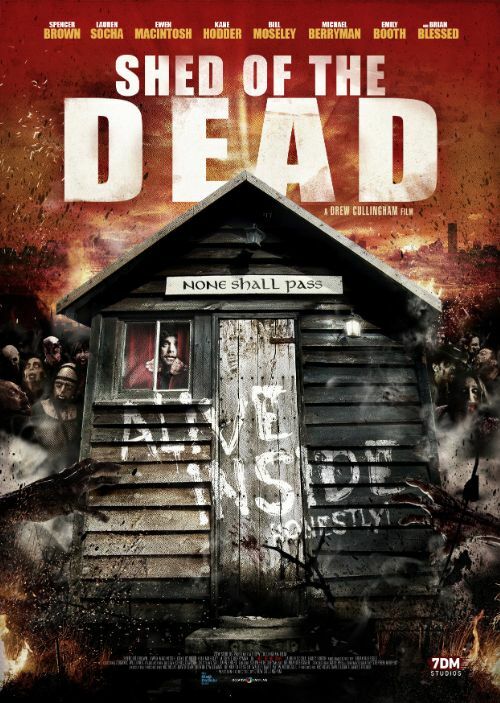 Shed of the Dead producer, Nicholas David Lean, has said "We're all delighted to finally be able to showcase Shed of the Dead at SFL to fans of independent British comedy horror. We hope you all have as much fun watching it as we did making it!"